Monetebello, Canada’s Amnesia Rockfest has slowly grown into the annual envy of fans of any type of loud music across the globe. Celebrating its 10th Anniversary this year, the festival has just announced another typically strong lineup headlined by massive names like Linkin Park, System of a Down, The Offspring and Slayer. 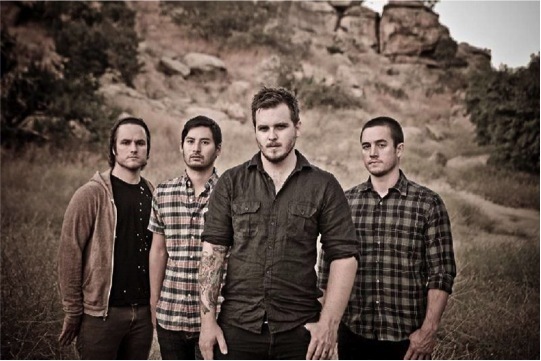 But as far as Thrice fans are concerned, there’s only one band on the bill. After teasing a return with their cryptic THRICE 2015 Instagram post in December, this announcement marks the band’s first scheduled show since playing the final date of their farewell tour in June 2012. We still have no word if this activity will bring about any new music, but it’s a start damnit! Thrice is officially back. Amnesia Rockfest runs from June 18-21 and boasts additional rare and/or reunion sets from Refused, From Autumn to Ashes and Atreyu. The festival also seems to have taken Riot Fest’s lead in getting full-album sets from some of its bands, with The Offspring scheduled to perform Americana in its entirety, Deftones performing Around the Fur and Rancid performing …And Out Come the Wolves. Check out the full lineup below — because where else are you going to be able to see Tenacious D, Ministry, Snoop Dogg, Carcass and nu-metal C-listers Slaves on Dope (performing the seminal album Inches From the Mainline, of course) all in the same place.